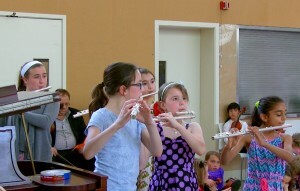 Nicholas Hardie teaches cello, chamber music, and advanced performance techniques at the Greenwich Suzuki Academy, which he directs hand in hand with his wife, Heather. An avid chamber musician, Nick was a founding member of the Stratus Chamber Players as well as the Satori Quartet with whom he held a residency at the University of Colorado at Boulder and an apprenticeship with the world-renown Takacs Quartet. He has also been heavily influenced by both current and former members of the Juilliard Quartet with whom he worked extensively through the exclusive Juilliard String Quartet Seminar and multiple years attending Kneisel Hall. His wide range of professional chamber music engagements have included the Winter Series for the Aspen Music Festival, the Marsh Chapel Cantata Series regularly broadcast on WBUR, Boston’s NPR station, and faculty chamber series at Boston University and Peabody Conservatory. He has also soloed with orchestras across the country, from Connecticut to Minnesota to Texas, and performs locally as principal cellist of the Ridgefield Symphony and the Greater Bridgeport Symphony. A dedicated and passionate teacher, Nick has previously served on the faculty of the Peabody Conservatory’s Preparatory Department, and has taught for Manhattan Conservatory’s Prep department as a long-term substitute. He has taught for the David Einfeldt Chamber Music Seminar at the University of Hartford and frequently joined the Baylor University faculty for their intensive String Quartet Seminar, even acting as interim director in 2007. He has also been hired to assist the cello sections of Dartmouth College and the Siew Toh Conservatory of Music at the National University of Singapore, and held a graduate assistantship, conducting and teaching both graduate and undergraduate cellists at Boston University through the Orchestral Program. 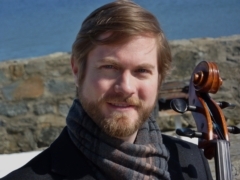 Nicholas Hardie holds a Doctorate in cello performance from Boston University, a Master of Music degree from Peabody Conservatory, and a Bachelor of Music from Baylor University. Nick’s primary teachers have been George Neikrug, Alan Stepansky, and his father, Gary Hardie. He has done significant cello studies with Joel Krosnick, Darrett Adkins, and Judith Glyde. Nick has also worked with Norman Fischer, Stephen Geber, Barbara Stein Mallow, and Andre Emelianoff at various summer music venues and performed in solo master classes for Anner Bylsma, John Sharp, Amit Peled, and Marc Johnson. His additional chamber studies are too long to list, but include work with members of the Tokyo Quartet, the Muir Quartet, the Cavani Quartet, the Fine Arts Quartet, the Vermeer Quartet, the Manhattan Quartet, the Peabody Trio, Seymour Lipkin, and Roman Totenberg, and masterclasses with Arnold Steinhardt, Jerry Grossman, and the Kronos Quartet. He also studied double bass as his secondary instrument with Dr. Christopher Buddo at Baylor University, and baroque cello and historical performance practice with John Moran at Peabody. He attended the Juilliard Quartet Seminar, the Takacs Quartet Seminar, Norfolk Chamber Music Festival through Yale, and spent three wonderful summers at Kneisel Hall.